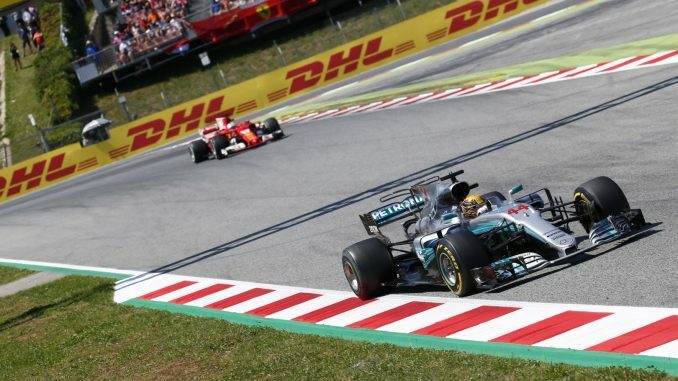 The fifth race of the 2018 Formula 1 season takes place this weekend as the teams head to Barcelona for the Spanish Grand Prix. The race at Circuit de Catalunya is traditionally seen as the start of the European season and an important event for development, with many teams bringing upgrades to Spain. 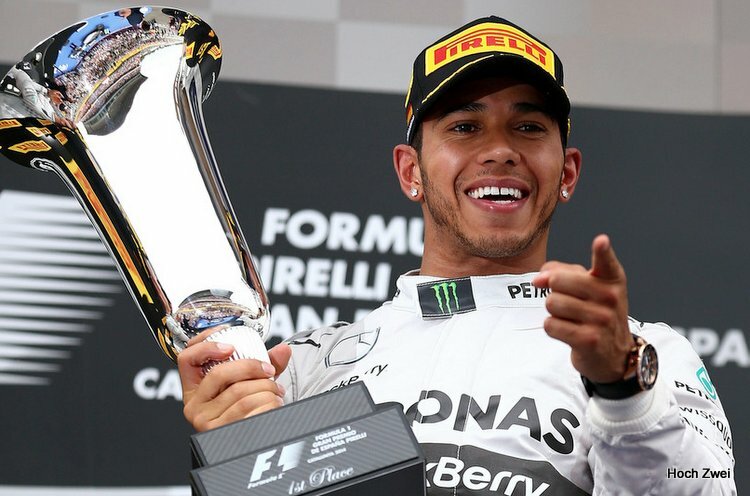 Lewis Hamilton comes into the weekend as the championship leader following victory at an action-packed Azerbaijan Grand Prix two weeks ago, which was his first win of the season. 12 months after colliding with then-teammate Nico Rosberg on the opening lap in Barcelona, Hamilton bounced back with a win in Spain. The Mercedes driver started on pole position, but lost out into the first corner to Sebastian Vettel. The German continued to lead until a virtual safety car gave Hamilton the opportunity to come into the pitlane for new tyres while losing less time on track. Vettel didn’t pit until the end of the VSC period, coming out level with Hamilton. The Ferrari initially kept ahead, but Hamilton was on the fast tyres, eventually getting past Vettel on the 44th lap of the race. The race marked the start of a season of grid penalties for McLaren as Stoffel Vandoorne started from the back of the grid after going over his engine parts allowance. It was a weekend to forget for the Belgian driver as he ended up breaking his suspension in a collision with Felipe Massa, earning himself a grid penalty for the next race. Vandoorne’s teammate, Fernando Alonso, fared slightly better, making it to the checquered flag for the first time in 2017 to finish 12th. There was a rare engine failure for Mercedes as Valtteri Bottas lost power to promote Daniel Ricciardo to a podium place. The Red Bull was still well off the pace though, with the Australian finishing 75 seconds behind the race winner. 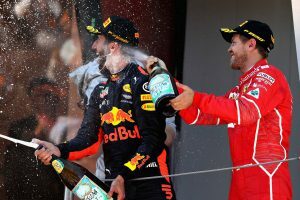 Max Verstappen, who secured his debut win at Barcelona in 2016, couldn’t match his previous performance at the track, tangling with Kimi Raikkonen and Bottas on the opening lap, which forced him and Raikkonen to retire with damage. Pascal Wehrlein finished the race in seventh for Sauber, but dropped to eighth in the final classification after being penalised for failing to stay to the right on his way into the pitlane. Kevin Magnussen was denied points for Haas though, as contact with Daniil Kvyat late in the race left the Dane with a puncture. Toro Rosso and Force India were the only teams to have both drivers finish in the points. Circuit de Catalunya had new asphalt laid earlier this year following a request from Moto GP. The motorcycling series had complained the surface was too bumpy for bikes to race on, and demanded the circuit make changes in order to remain on the Moto GP calendar. 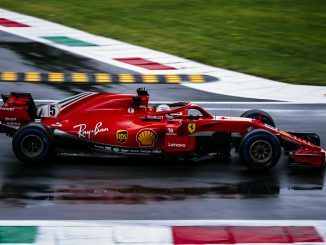 New surfaces can be unpredictable, particularly in relation to tyre wear and grip, but the teams have already had some running on this surface, having held pre-season testing at the track. An additional gravel bed has also been added and a grandstand repositioned, changing the run off area at turn 12. These were also changes demanded by Moto GP following the death of Moto 2 rider Luis Salom at the corner at 2016. Extra gravel means the drivers will have to work harder to keep the car on the track at turn 12, or they’ll risk becoming beached. The race also has a new start time this year. Last year’s Spanish Grand Prix got underway at 2pm local time, but this year’s event has been pushed back to 3.10pm Barcelona time. 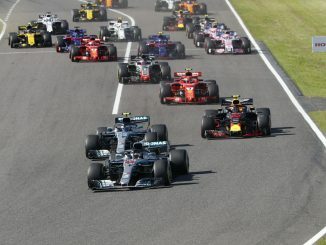 F1’s owners Liberty Media made changes to the start times for this year in a bid to be more accommodating for TV audiences. Pirelli have brought different tyre compounds to the Spanish Grand Prix this year, having used the soft, medium and hard in 2017. This year, the medium will be the hardest compound on offer, with the soft and supersoft also in use. The change could be due to the new track surface, but also a response to last year’s strategies, as the hard tyre wasn’t used by any driver during the race. The inclusion of a different compound appears to have split the teams. 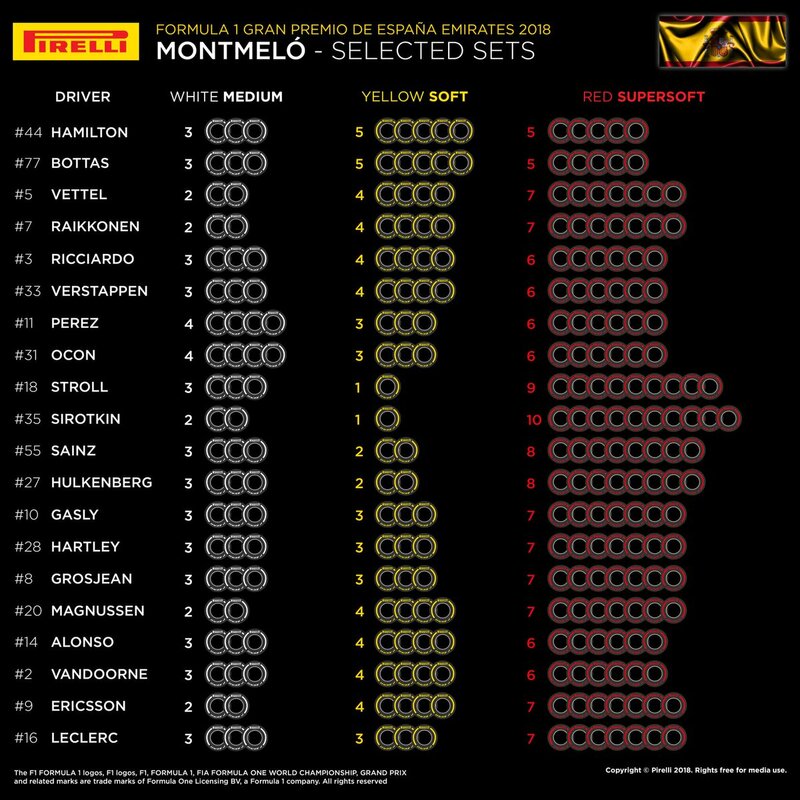 Williams and Renault both seem to think the softest of the three options will be the best tyre for the weekend, while Mercedes are hedging their bets, giving Hamilton and Bottas five sets of supersofts and five softs. Most drivers needed two stops to get the end of the race last year, but Wehrlein made a one-stop strategy work, nursing his soft tyres to lap 33 before switching into the mediums for the remainder of the race. The one -stop strategy moved the German up from 15th on the grid to seventh across the line, although he did drop to eighth due to a penalty. The weather at the Circuit de Catalunya was one of the big talking points during pre-season testing as heavy snowfall prevented the teams from running on one of the days of the first test. Fortunately, the weather forecast is more favourable this weekend. The current forecast suggests conditions will be dry for the majority of the weekend, with temperatures hovering around 20°C. There is a chance of some rain and possibly a thunderstorm on Saturday, but it looks like there could just be time to complete qualifying before the downpour. That could be problematic for Sunday though, as it means the cars could be taking to a green track with the rubber laid down throughout practice and qualifying getting washed away. Strong winds could be one of the bigger challenges of the weekend weather wise. Gusts reaching almost 30km/h are expected tomorrow afternoon during P2. Winds have previously caused issues at Circuit de Catalunya, particularly last year with the shark fin design. That shouldn’t be as much of an issue this year, but it could still mean some drivers will find themselves off line while still getting the feel for the new track surface during practice. 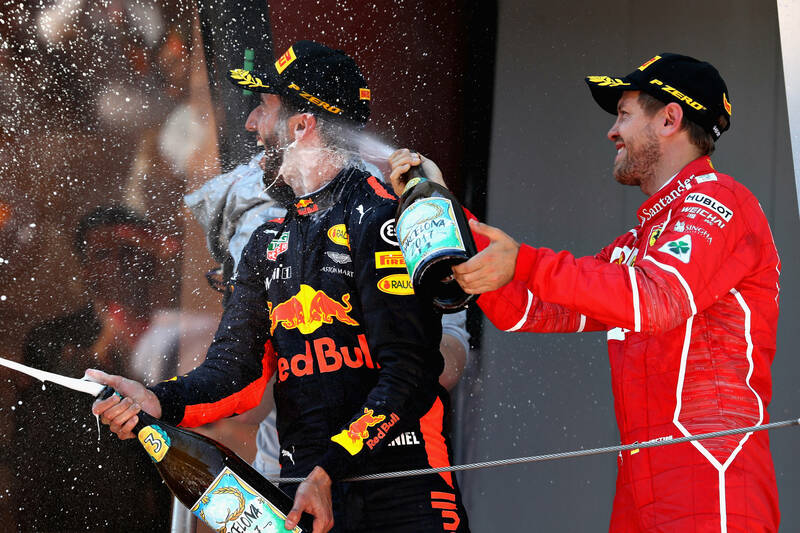 Barcelona is usually the track teams choose to bring their first big upgrades of the season to, so expect the pecking order to change at the race. Some teams often make big jumps in Spain, while others get left behind. Last year, Force India made a big jump in Barcelona, and McLaren could be the team to make a similar leap this year, with Eric Boullier recently revealing this is the first race the real 2018 McLaren will be ready for. Mercedes have dominated qualifying in Spain in recent years. Vettel qualified second last year, becoming the first non-Mercedes driver to start from the front row at Circuit de Catalunya since 2012. Qualifying is more important at Spain than any other track on the calendar, with 24 of the 27 previous winners starting from the front row. 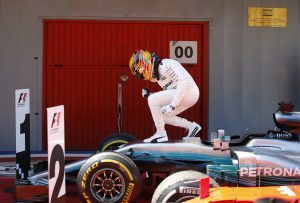 Hamilton has a strong qualifying record in Barcelona, last missing out on a front row start in 2012, when he was fastest on Saturday only to be disqualified due to insufficient fuel, so he’ll look to be near the front again, while Vettel is still searching for his first pole at the track. No driver has claimed back-to-back wins in Spain since Michael Schumacher secured a fourth-straight victory at the circuit in 2004, suggesting Hamilton won’t be winning again on Sunday. In the 13 races since then, there have been 10 different winners, with Hamilton’s win last year ending a run of 10 different winners in succession at the track. This year’s grid features five previous winners, but the in-form Bottas and Ricciardo are among those who could be first-time winners in Spain this weekend. Williams saw an upturn in form last time out, with Lance Stroll securing their first points of the season in Baku after both cars made it through to Q2 for the first time this year. Sergey Sirotkin is starting on the back foot due to a grid penalty following his collision with Alonso, but the team will be hoping to go well at a track that has been good for them in recent years. Last year was the first time since 2013 that the team failed to score points in Spain, and the circuit is also the site of their last victory courtesy of Pastor Maldonado in 2012. This is one of the races that tends to be more physically demanding of the drivers due to the high speed corners. While resurfacing may have made the track smoother for this year, and therefore slightly less brutal to drive on, it’s still likely to be a grueling race. Last year, Hamilton claimed he lost 4.5lb due to sweating behind the wheel. Don’t forget to listen to this week’s podcast to hear what the team have to say ahead of the race and see who we’re predicting to be on the podium. We’ll have live blogs during qualifying and the race, and let us know what you think through Twitter and Facebook.